" I have nothing myself to compare this to except other family member's cpap machines, but I really like how this works and it is easy to understand. " " First I was very sceptical, but it turned out that this is a quiet, easy to handle and according to your breath well working machine. I can recommend it. " The IntelliPAP Standard Plus CPAP System brings SmartFlex technology and advanced therapy reporting to the DeVilbiss platform of therapy machines. 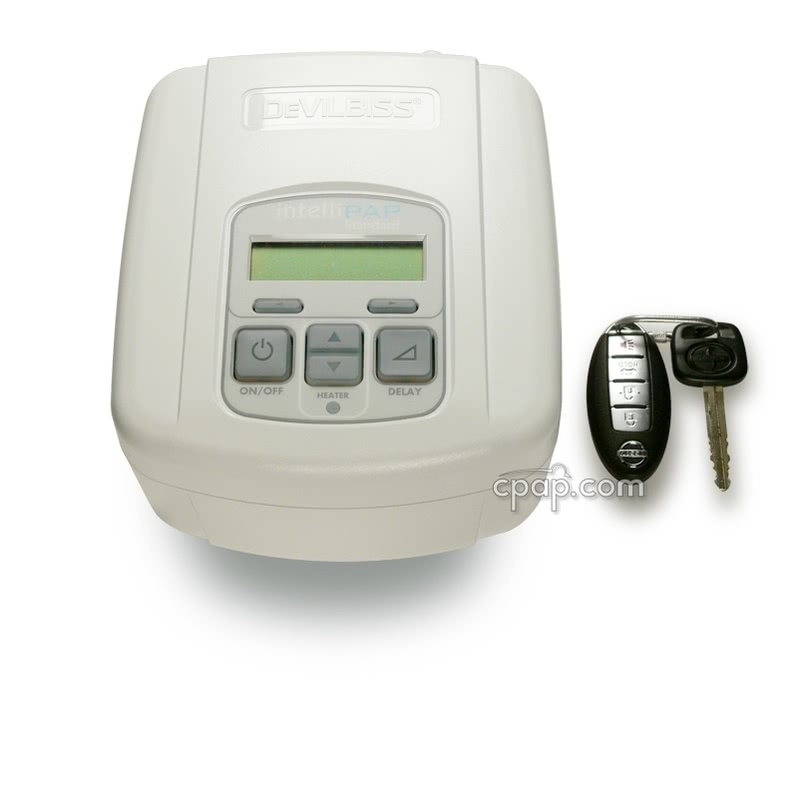 Packed with features, the Standard Plus model comes with automatic altitude adjustment up to 9,000 feet and an automatic on/off mode that starts the CPAP once you breath into the mask and stops when not in use. Along with an industry leading, 5 Year Warranty, the IntelliPAP's design is easy to use, whisper quiet (26 dBA) and its compact shape is great for travel or home use. DeVilbiss jumps into the enhanced comfort market with the introduction of SmartFlex. This unique exhalation relief function provides three levels of customizable pressure reduction and six rounding options to tailor the transition between inhalation to exhalation. 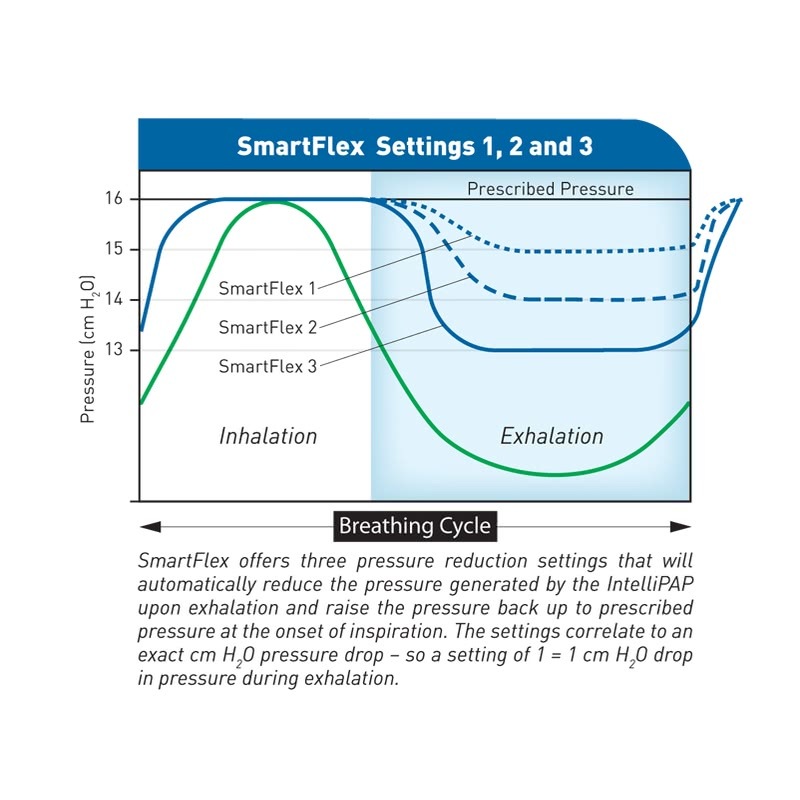 Like many existing pressure reduction technologies, SmartFlex lowers exhalation pressure by 1cmH20 per level (up to 3 cmH20), allowing users to breathe easier against their therapy pressure. What sets the IntelliPAP apart is its transitional rounding feature that prevents the user from experiencing adverse IPAP/EPAP pressure changes. When pressure drops during exhalation, the increase back to the prescribed therapy setting can disrupt the sleep cycle. 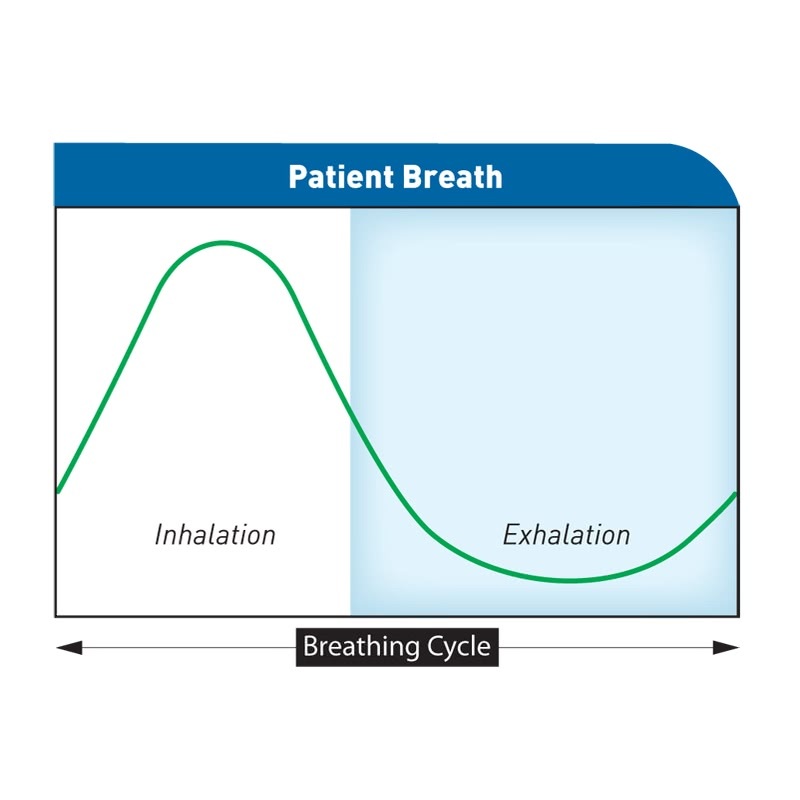 In similar technologies, users may find themselves struggling against the transition and lose the benefits of exhalation relief. 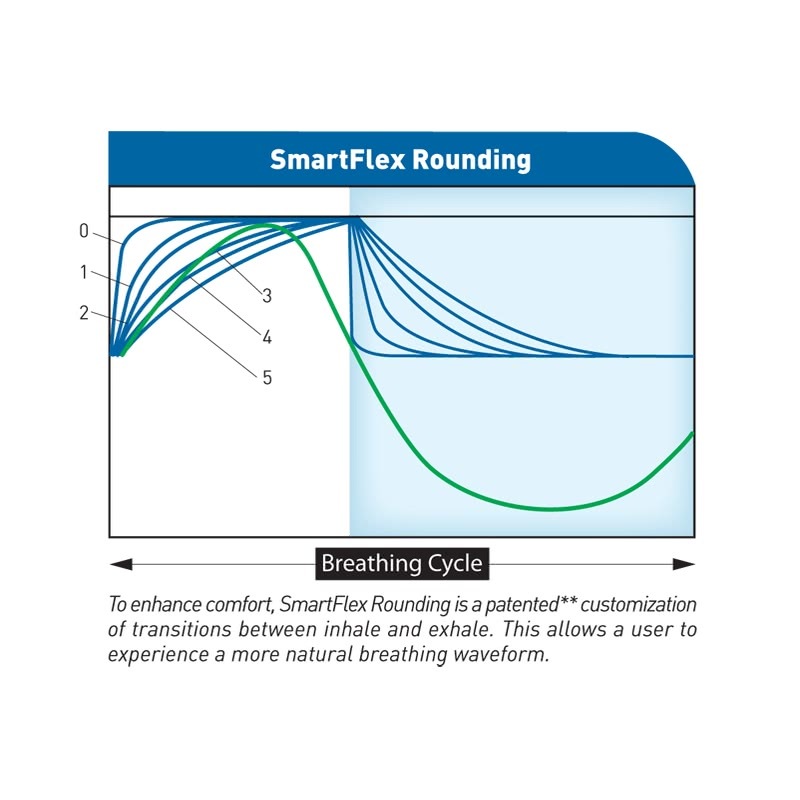 Now, SmartFlex's rounding function makes pressure comfort technology virtually seamless. Sleep data is essential feedback for therapy compliance, but many basic CPAP machines lack detailed reporting capabilities. The IntelliPAP Standard Plus records advanced data such as apnea/hypopneas, non-response, snoring and exhale puff event detection. Use SmartCode or the optional SmartLink Therapy Management software to download your sleep data to view the IntelliPAP's expanded reporting capabilities. Alternatively, use the Quick View feature on the machine and preview data (Days on Therapy, AHI, High Leak and Average Daily Usage hours) all from the on-board LCD display. Quick View readings are also available through the SmartCode online reporting. For more information on SmartCode and a list of sample codes to see how it works, visit our newsletter: Introducing SmartCode. Built for durability, the unit is water resistant, has a stainless steel heat transfer plate and a water chamber constructed of Lexan (polycarbonate resin thermoplastic). 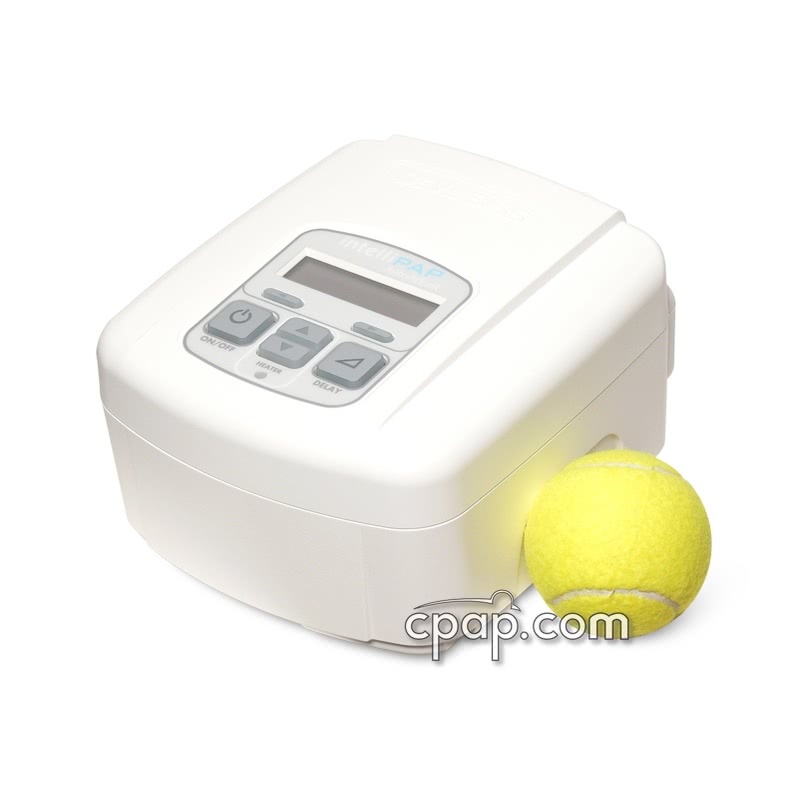 Use the optional heated humidifier to provide additional comfort and humidity for your sleep therapy. Powering the unit is achieved through docking with the CPAP, eliminating the need for bulky power adapters or extra hoses. The exclusive humidifier chamber is easy to remove and designed to maximize humidity with a larger surface area. DeVilbiss designed the chamber to hold enough water for a full night's sleep and along with the unique baffle design, the water chamber allows the airflow to collect more humidity. Even at the humidifier's highest setting, you can still expect a full 8 hours of humidification. Altitude Compensation Automatic - maximum height 9,000 feet. The IntelliPAP Standard Plus can store up to 90 days of therapy data and up to 3 years of usage data. If an SD memory card is used to retrieve data from the machine it must be a file format of FAT16. CPAP.com offers this card: SD Memory Card for IntelliPAP Machines as an option. SD cards with other formats, such as an SDHC card formatted for FAT32, will not work with the IntelliPAP machine. Because the IntelliPAP machines use a separate connection for AC and DC power, they can be set up in a battery backup configuration. The AC power cord is plugged AC power source such as a wall outlet, and the optional IntelliPAP 12 Volt DC Power Cord is plugged into a DC power source such as a battery. The IntelliPAP will use the AC power source when available, otherwise will convert to the DC power source, without any interruption in therapy. If the AC power source becomes available again, the machine will revert back. 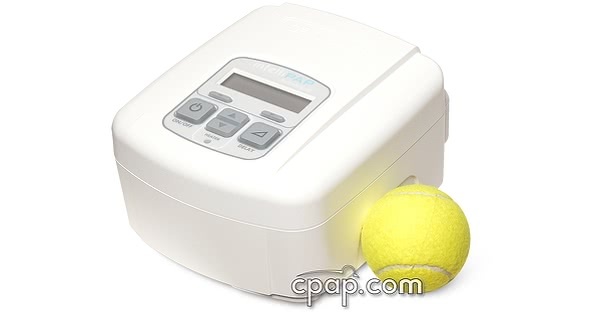 Please note that if using the heated humidifier, it will not function from DC power. Weighing in at only 1.7 pounds the Freedom Battery is a terrific option for travel. Plus, the Freedom with a DC cable and connector peg suitable for use with the IntelliPAP Standard Plus so no need to purchase a separate DC cable. This lithium ion battery meets UN Manual Test and Criteria requirements for travel. PLEASE NOTE: The IntelliPAP Standard Plus connects to the Freedom Battery using Tip "J". Tip "J" is included with the Freedom Battery. Your CPAP does NOT count against your carry on limits. Allow for an additional 10-20 minutes in security, not likely but it happens. If airport personnel ask about the CPAP, let them know politely that it is a medical device (a CPAP unit). Most of them understand what it is and that it is an exception to the normal rules. We provide a luggage tag for CPAP systems that can help with identifying your equipment. You can use your CPAP on board, just use batteries or make sure you're seated by a power outlet. You can call or reserve one of these seats online with most airlines. What reports are shown when using SmartCode? The IntelliPAP AutoAdjust generates advanced user data. The IntelliPAP Standard only generates basic compliance information. See the image below for a complete breakdown of the reports available for each type of IntelliPAP. See a Sample Report. What are SmartCode Report Definitions? This is a list of report topics generated when using SmartCode to track therapy effectiveness on the "="">DeVilbiss Intellipap Machines. Usage Threshold: Determines the minimum amount of time that the patient must use the device, in order to be logged as compliant. Device settings allow for 4 or 5 hours, with 4 hours being the default setting. This setting can be changed in the device clinical set-up menu. Adherence Score: Shows the maximum adherence achieved for any period of thirty consecutive days of use within a ninety-day time frame. The score represents the percentage of days, within thirty consecutive days, when usage met or exceeded the 'Usage Threshold.' The Adherence Score reports the 'best' consecutive thirty days of usage. For example, if the 'best' 30 out of the last 90 days show 22 days used above the usage threshold and 8 days below the threshold, then the Adherence Score would show 73% (22/30). For this calculation, the usage must be continuous hours and longer than the Usage Threshold. Days at Least X Hours: Shows the number of days in the timeframe where the total usage within each day is at least X hours. "X" represents the 'Usage Threshold' setting in the patient's device. For this calculation, all usage within a 24-hour period is recorded. % Days at Least X Hours: Shows the percentage of days in the timeframe when the total usage within each day is at least X hours. The "X" represents the 'Usage Threshold' setting in the patient's device. For this calculation, all usage within a 24-hour period is recorded. Day Count: Shows a count of days for each timeframe. If, for example, the 90-day code is collected at day 45 of therapy, then the "Day Count" for this code will be 45 days. In most cases, however, the day count is equal to the days in the code's timeframe(s). While Breathing Hours: While breathing hours are only available within the last-day timeframe and with the cumulative code. This measurement shows the total hours of use. 95th Percentile Pressure: AutoAdjust pressure was at or below this pressure 95-percent of the time it was in use. 90th Percentile Pressure: AutoAdjust pressure was at or below this pressure 90-percent of the time it was in use. AHI: Apnea/Hypopnea Index (AHI) represents the average number of apneas and hypopneas per hour for the timeframe. Pressure Plateau Time: Represents the percentage of time the AutoAdjust spent at the upper pressure setting. A value of 10% or more indicates a possible need to raise the upper pressure setting to allow higher pressures. High Leak Flow Time: Shows the percentage of time when a leak was above 95 liters per minute. A value of 10% or more indicates that the mask fit should be checked. NRI: Non-Responding Event Index (NRI) represents the average number of non-responding events per hour. A non-responding event is a respiratory event that is detected but by design does not result in a pressure change during AutoAdjust therapy. EPI: The Exhale Puff Index (EPI) is the number of exhale puff events detected per hour. Exhale puffing is caused by inhaling through the CPAP system and exhaling through the mouth.